The beauty of fine art is one of life’s joys. 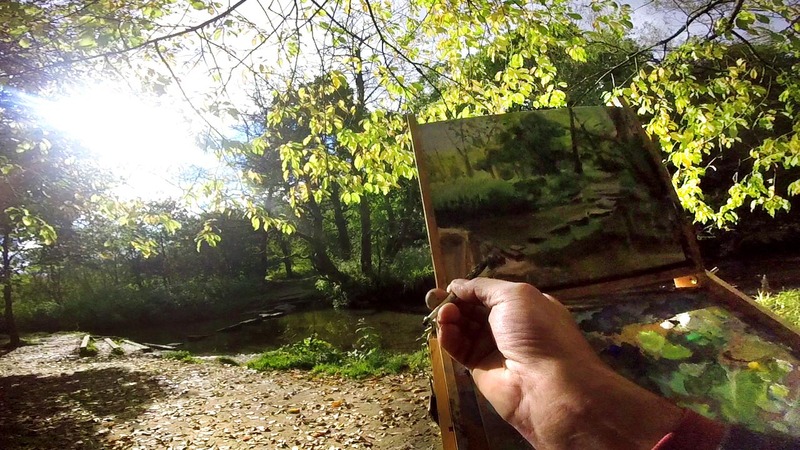 The challenge of producing a fine art painting outdoors on location allows for the opportunity of working in natural light making creative decisions informed by the direct observation of the subject. Through this experience Stephen hopes to create an image of greater integrity of colour and light. A work that is truly fine art. Fine art paintings by Lancashire artist Stephen James Cross. Stephen works from life observing the subject rather than an image of the subject such as a photograph. He works extensively en plein air, a French phrase meaning “open (in full) air” often used to describe the act of painting outdoors. Stephen uses sketchbooks daily to help continue his artistic and creative development through his continual practise of observational drawing. Using sketchbooks in a variety of sizes, formats and papers he records sources of visual interest and inspiration whilst also allowing for the experimentation of styles and method of mark making. The environment beyond the confines of the artists studio makes for the greatest visual opportunities. Urban sketching is the recording of the everyday, the hustle and bustle, the vibrancy and atmosphere of life, a unique and special social documentary record. A founder member of Lancashire Urban Sketchers Stephen sketches throughout the north west at all times of the year and in all weathers.